Ranked from 42 ratings. Score is adjusted from raw score by the median number of ratings per game in the jam. Please leave some feedback on the game if you can; it's my first take on platformer genre and I'm trying to improve. Thx for playing! Of course I will check it out! The platforming could do with some touching up but otherwise its a well done and fun game! 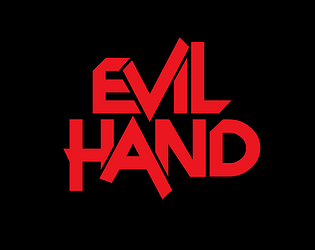 Looking forward to more adventures with evil hand! Best game I've played so far. Creepily fun. Great art and animations. This game will keep lingering with me for a long time. Well executed great game. fun to play great SFX/Music/Art. deserves to be on the front page of itch like it is. Nice! Thanks for the feedback and video, TigerJ! Hiya, I played through the game recently and had a great time doing so. 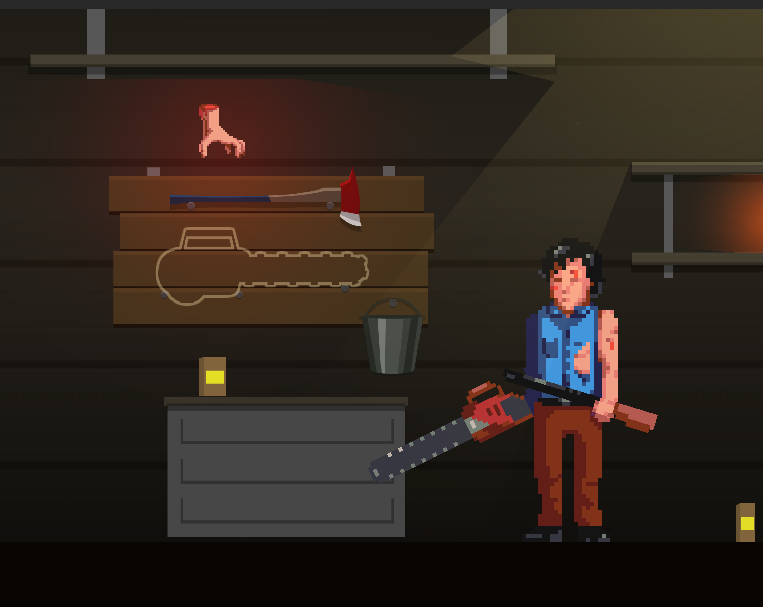 The pixel art style is what caught my attention initially followed by the fact that the game is based off Evil Dead 2 which only made me want to play it even more. As mentioned by a few people prior to me, the intro scene is striking and immediately catches your attention, making you ready for more, it certainly was a great addition to the game. I did find the game to be a little bit challenging, especially when the kick is introduced, but given the short length of the game the difficulty is just fine. All in all it's a great little game, based off an equally great movie. I'm happy I got the opportunity to play it here and look forward to hopefully seeing more from you in the future. Also, I hope you don't mind but I recorded a short let's play of the game for my channel. What a great, if short, tribute to the mighty Evil Dead II. Love the humour - especially the way Ash kicks the hand away! Congrats on getting this all done in the time allowed. That intro sequence was kinda unexpected. I remember as I was trying to get some some sleep and suddenly that idea just grasped my mind and didn't want to go away for, like, 20 minutes. So I had no choice to get up and implement it and learn how to use that new Timeline thing in Unity along the way. That tool is very cool and perfectly suited for 'movie' stuff. I had a lot of fun playing the game. The opening sequence reeled me in fast, and the audio was well done. Honestly, I wouldn't mind if the game was a bit longer either. 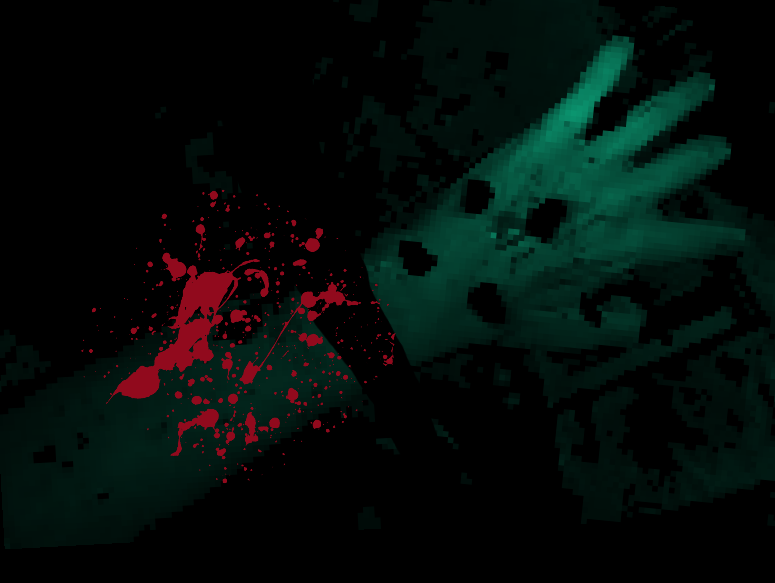 I really liked the idea of being a disembodied hand that strangles people. I do admit that the controls were a bit odd though. It took some getting used to as space is usually to jump, but it's a short game so it was no problem. Overall, great game! Good luck with the game jam! Well, hello there and thanks for feedback! ( ﾟωﾟ ) Glad you like my voice! And once again, good job! Well, what I can say..
Oh boy, that's intense! 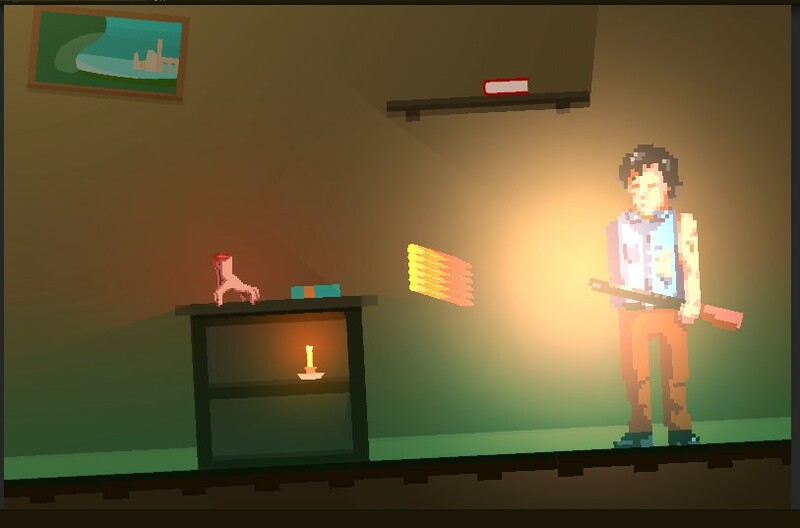 I found myself getting stuck on things a bit, jumps are a bit too tight and things like that, but other than that this game is really fun, and superbly atmospheric. That was seriously funny and fun to play. Well, this was just great. I've only checked out maybe 40% of the entries, but this one really stands out. Great job, dev! Had a blast choking out Ash! Made me want more as soon as it was over. Fun stuff. If you liked that feeling I recommend to check out a game Getting Over It with Benneth Foddy. Actually in early dev phase there was a "lifes" mechanic but it had quickly become quite unbearable even for me. Thumbs up for another Evil Dead fan! I suspected from the thumbnail that the player was the person, and I was happily surprised. It's a unique idea, and I enjoyed playing it! The only issue I had was that the shotgun knocks you so far back in the last phase that you have little to no room for error when trying to get in the final choke, and the way the jumping works makes it harder. It could have been a design choice to make it really hard though so I can't say too much! I still enjoyed it! Thanks! Yeah, cellar phase was designed to be quite hard. Also I watched as someone letsplayed the game and now I'm thinking that jumping and movement feel could be reworked in something better.